As the spring semester winds down and summer winds up, we find ourselves approaching the end of In geveb’s third year of publication—don’t worry though, we’ve got plenty more great writing for you before this year’s summer break begins. So while we’re still publishing and you’re still enjoying the new translations, articles, interviews, and reviews we put out every week, we’d like to ask you to consider supporting In geveb financially once more this publishing (and fiscal!) year. Or better yet, please consider setting up a recurring monthly donation. You can easily set up a donation for any amount you like, from $4 a month to $18 a month to $100 a month (the sky’s the limit!). 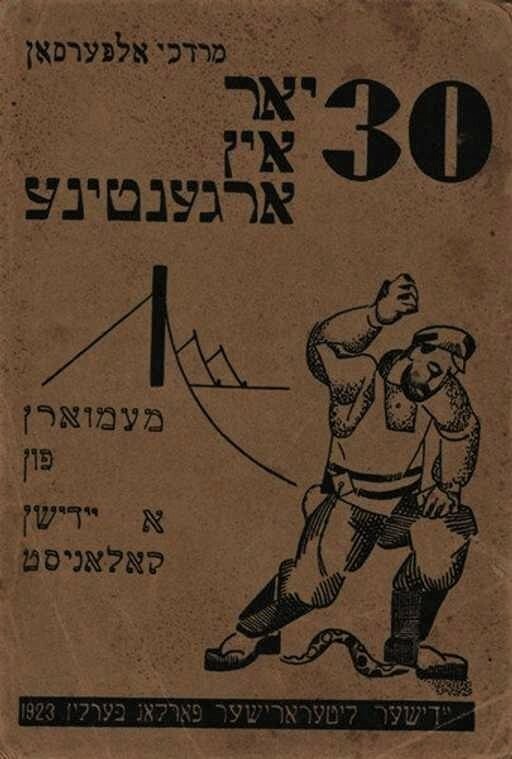 These donations are so helpful for ensuring the financial stability of In geveb and making sure we can focus our energy on publishing the best and most diverse writing from the wide world of Yiddish studies. 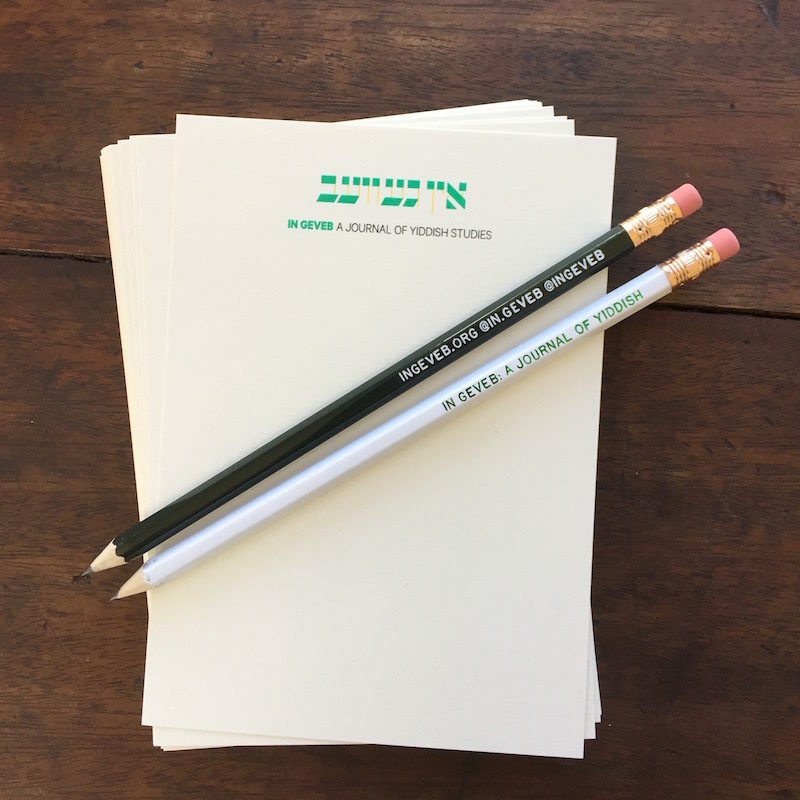 We are excited to offer a new thank you gift for donations made before June 30, the end of the fiscal year: In geveb pencils! If you sign up for a recurring monthly gift at any level we will send you a dozen pencils as a thank you, one for each month of the year. And if a recurring donation doesn’t work for you but all you can think about now is how much you want to carry around some In geveb pencils in your In geveb tote bag, we will be happy to send you six pencils as a thank you for any one-time gift of $18 or more made before June 30. What, you may ask, does In geveb do with your donations? Over 80% of our budget goes to providing stipends to our editorial staff and honoraria to the writers, translators, and teachers who contribute to In geveb. It is part of our mission that the labor that goes into producing In geveb be adequately compensated. Given the rising costs of graduate school and the difficult academic job market, we know that our editors and contributors need In geveb to be more than a line on their CV (though we certainly think that In geveb looks really good on that CV). We hope you agree and we’re so grateful to everyone who has become a part of the community that is In geveb: readers, contributors, reviewers, editorial board members, editorial staff, our board of directors, and donors. Follow this link to set up a recurring donation or make a one time donation. 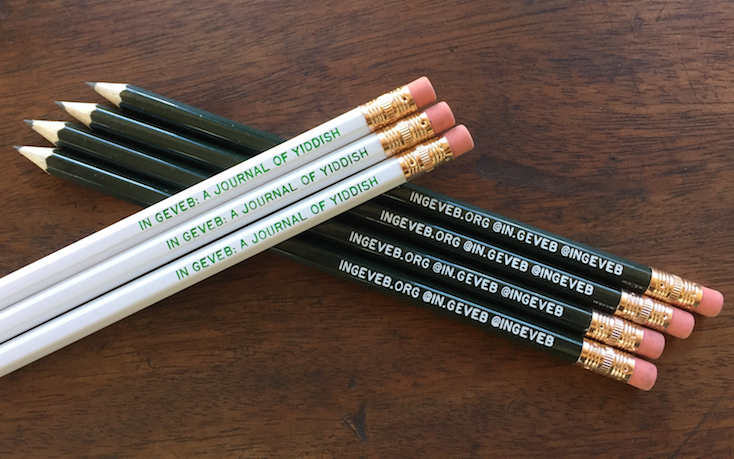 If great writing about Yiddish isn’t incentive enough, perhaps you are forgetting the stylish In geveb pencils we would be happy to send as a thank you for any one-time gift of $18 or more, or any new monthly donation. Editors, The . “Say it with In geveb.” In geveb, April 2018: https://ingeveb.org/blog/say-it-with-in-geveb. Editors, The . “Say it with In geveb.” In geveb (April 2018): Accessed Apr 22, 2019. Abstracts are due by May 1, 2019 for a special issue of In geveb devoted to the subject of Yiddish and the Transnational in Latin America. You can take the party out of New York, but you can’t take New York out of the party?